The book "HMS Beverley: A Town Afloat (1940 - 1943) and The Town Ashore" by Geoffrey Blewett details the history of HMS Beverley in WW2 until the time it was lost and also the town of Beverley (East Yorkshire). It is a worthy tribute to those who served - and died - while serving on HMS Beverley as well as the communities with whom it had a special connection. This is an incredible story of Hermann and Albert Göring. We all know Hermann Göring spent the war plotting with Hitler to take over the world, yet little is known of his younger brother Albert who spent the war working tirelessly across Europe to save the persecuted. He saved hundreds - from humble to high ranking, Jew and gentile - yet died a forgotten and broken man. In some strange twist of fate his story took hold in the mind of 26 year old Australian, William Hastings Burke, who has spent the past four years travelling the world tracking down survivors, Gestapo reports and war records to try and piece together the story of Albert's life. 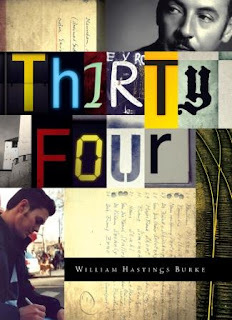 The book he delivers Thirty Four, is gripping and explodes so many myths and misconceptions of the Göring brothers that its hard to put it down. William is now trying to get Albert formally honoured. There is a petition to see him recognised alongside Oskar Schindler by the Yad Vashem. Head to www.34thebook.com to sign. Help spread the word about this forgotten hero.